Recruitment for The Graveyard Shift. Whistling as he put up the poster on the wall. Dressed in black boots blue jeans white shirt and trench coat he looked like a biker, except he was also clearly dead. The poster stated this. Greetings are you tired of being looked at by others? Do you get tired of being turned away when trying to vote every election because you're deceased? Do you have a sexural horrasment issue because you said someone looked delicious and they thought you meant sexurally, when you didn't? Is it hard to hold a conversation with someone because you're a spirit? Well if you answered yes then I have the group for you! The Graveyard Shift is a fun loving Supergroup for the living impaired. Among our services will be "Brain Eaters Anonymous" a twelve step program to brake that craving for the gray goodness. "Unliving and Loving it" a regular party event. "Haunting 101 for those of the spirit world learn how and what you can really do. And much more! A proper bass housed in a spacious mausoleum with quiet neighbors who wouldn't complain! Contact Ron "Rotten Luck" Bolton for details! Primary a Roleplay group that hopefully will have regular team missions and questing. As well as RP events a least once a week. Very funny indeed....me likes the sound of this! Well don't sound so surprised!...I make a very good corpse! A lady after my own undead heart. Well The idea is that I know a lot of folks made undead, ghost, vampire type characters in CoH and figure we could make a Supergroup for those type of characters. Indeed, most of my characters in COH were goth based. I think it's soo much more interesting than the usual run of the mill living. One of my most fav quotes is " You only start living, when you're dead" ... Haha. Well being the second possible member of the Graveyard shift. Anything you would like to see or do when the game and supergroup gets officially started? Necromancers are fine to. The Graveyard shift not prejudice against the living (they be joining the dead eventually) the idea is that those who are dead, near dead, mostly dead, can hang out and not worry about. "AGH ZOMBIES, AGH VAMPIRE," kind of stuff. As for not quite standard Goth well you seen my Misty! If not well here is her image from CoH. hun just dawned on me that pic she didn't have her goth makeup on. Oh well. Wish I had the presence of mind to take some screenshots of my old characters.... Oh well , they have gone along with the game... Time for a fresh start!! Nice character... Chains and padlocks I see. I think I used to spend just as much time creating my characters than actually playing,haha...was such fun. Ummmmmmm........things I want to do........have a dead good time...I will sleep on it though and let you know so don't despair....yet! If you like you can use a little program called ICON that can let you use the CoH character creator. You can get ICON here http://www.cohtitan.com/forum/index.php/topic,7288.0.html. You still need the CoH program if you don't have it on your system anymore you can download Issue 24b beta here http://www.savecoh.com/p/download-issue-24-beta.html. Note lot of features in the Icon are set up for Issue 24 so might want to download it anyway. That's very helpful of you... Much appreciated! Thank you. Just one of my Duties of Group Leader. I don't know seems I'm not a very good Group leader lol. Maybe something about trying to keep group drama to a minimal. Just wondering what type of character to kick off with....I'm guessing a healer type class would be actually a huge contradiction if I am to be in an undead group? !....I mean if an undead member got killed for one, is that entirely possible, and two, what could I do...poke the corpse with a stick or something and shrug!....I lose sleep over these dilemas I do! ....I must get out a bit more! well I can think of a few reasons for a healer type for the dead. Someone needs to put the parts back together from time to time. However City of Titans will follow City of Heroes example and there wouldn't be a pure Healer type directly. Sure something like Empathy healer, but even that had major buffs. As for Hero 6. Planning on it! Thnx Izzy, that film looks great, I may just step outside the front door after all. Animation and horror are just my cup of tea. As for characters, I guess we'll just have to wait and see what happens won't we. Btw...sorry but I think I've unthreaded your thread! I've played CoH/CoV from beta to close and one of my favorite villains groups were the Vahzilok, which Rigor is based on. Anyways, would love to join Graveyard Shift and get back in with the community again. Any limitations to join other SGs with other characters? Rotten Luck my main will always be. I like many others will have Alts and not all of them be GS characters. So no such foolish rules about that. I'm really laid back and just seeking others to group together for some morbid undead fun. Only had two real responses so far to this. No big undead characters of any type a niche thing. With at least two years to wait till we can log into the new Titan City there time to find more. Like I asked Snowbunny if you have any ideas or desires for this SG tell me and we see what we can do. I can see your avatar now! I had to upload a new avatar image. Not sure what happened to the old one. No big undead characters of any type a niche thing. With at least two years to wait till we can log into the new Titan City there time to find more. Like I asked Snowbunny if you have any ideas or desires for this SG tell me and we see what we can do. What do you mean by no big undead characters of any type? Also, what classification do you plan to be with Rotten? Rigor was a Dark Melee/Super Reflexes scrapper in CoH, so I'm thinking Striker or something similar in CoT. Goth sounds good to me. As for people who drift in and out of other SG's...I strongly frown upon it. :-/ just what's the point? I really need to pay attention to what I post when tired. I meant no Biggie. As in no problem on my part. Playing Undead of any type not a major draw of this type of MMOs. So I'm not expecting a flood of people wanting to get in. Goth or Horror I was going for anyway. The base when I get a chance to design it would be in a Mausoleum! As for what Rotten was, he was a Street Justice/Willpower/Energy Mastery Brute. Had his build set up with so much regen and recovery he was nearly unstoppable. Didn't hit hard as some other builds, but never stopped. Even when he did faceplant I had not just the Willpower self rez but a few others. A Mausoleum would be perfect! A Mausoleum would be perfect! Although I doubt they would have those types of base designs available at launch. I don't think the unliving are a niche in today's society. Just look at the popularity of shows like Supernatural and The Walking dead. A lot of us are. Not sure if they'll open that can of worms back up, though. Also, may be more likely than you'd think, that there are mausoleums there already. Titan City is only a century old, but the towns that formed it are more likely two to three centuries old. Naw, the whole create a building thing they are doing with Mogul is great and all, but I was talking about just decorating the outside of a normal sg base entrance, like a hideout entrance that they have been talking about in the base building forums. I wouldn't want to tread on any of the huge financial supporters toes, and I definitely don't think that option should be opened up post Kickstarter. Well there is plans for a base editor, eventually. Last I heard is the plan was to produce a Costume Editor, Base Editor, then full game. The base editor would be a modified version of the map editor for missions. So people using it would basically be bug testers. The money from online perches for the Costumes and Base Editors would go to fun the game. I have had an idea for a clown/zombie brute who used to do birthday parties..
Clown Zombie.... thought that last fellow tasted funny. Sure welcome to the morgue Demrius. Hmm Morgue or Mausoleum? When we do get a Base Editor seems I'm going to be having some fun figuring out how to get the look right. Yeah I'm looking forward to base building. Didn't do it often in CoH didn't have the skills to get the cool bases some people were able to create with all the tricks. My name is Dr August Zombie. My name is Dr August Zombie. My minions and I would be glad to join you and see to your...medical needs. My practice has brought me into contact with all manner of supernatural and undead creatures and I am an accomplished surgeon as well. Merry Christmas, and for those who may or may not celebrate Christmas. Happy Holidays! So I been thinking of starting a Roleplay Thread for the Graveyard shift. ........... .......... ... ..... .. ... . ......... .. ............ .. ........ .. . . . ............ ..... .. ........... .. ... ..... Can anyone crack the code? Not much of a heart beat that for sure. I'm going to start the Graveyard Shift RP soon. Just be a simple bit of Roleplay in the base. Roleplay thread is up and running. Like Foradain said introduce your character. So far it's just been me and Foradain sadly it seems most RPs end up with just me and Foradain. Sure Fallout bring whoever you like. There is an RP forum for this group just for fun https://cityoftitans.com/forum/graveyard-shift-supergroup-rp-open-anyone Come by and say hi. Is this a thing? I’d like to pitch Brujo for this, if not as a member than at least an ally to the team. Does membership include midnight margaritas? On the villain side, I had a character named Outjack, who was a vampire jester. I also had Evil Abe, who was the evil vampire clone of Abraham Lincoln. I'm not sure I'd be making Evil Abe again, but Outjack might warrant a revisit. Been some time sense I made this post. Still planning on having the Graveyard Shift Group in City of Titans! Maybe we can raise the dead thread! I'm always down for necromancy. All about some raising hell, and the dead.Long time watcher, coming up out of the ground now to get some legs under me during this time waiting for the game and all it brings! Got two mains planned out for myself, one of which I am sure will be aimed towards you! The Hanged Man, Spectral super hero, all ghost without the clay pot making. We be glad to have you Hanged man! We can all hang out together! Have room for Brujo, my Zatanna inspired Mexican warlock character? I was thinking he needed a sort of gimmick, and read that brujería allows for a connection to spirits and ancestors, so I e thinking he relies on summoning them for more powerful spells and such? Other than that, I was thinking he could maybe manipulate the four elements maybe? That is a tough one to fit into the gimmick of the group. Tied to spirits of ancestors sounds like a shaman to me. That a fun gimmick to play. The idea of this group is for characters that get shunned for being tied to death. Either undead, ghost, necromancer, those that passed or returned from the dead. Give me more details I really hate saying no. Until the game launches things are still in a holding pattern. I had in mind he’d more or less be an ally to the group, likes consultant brought in when it’s clear that some magical assitance is needed or more specifically the help of a magic user or witch is required. I think that personally, opening the Graveyard Shift up to all respective creatures of the night and more supernatural inclined heroes or character rather than zombies would also assist in recruitment and membership. Tinged towards urban legend and more classical supernatural creatures and tropes of course, but making the characters needing to be undead or have a tie to death could be a little limiting. I’m just trying to keep a theme going. A character doesn’t have to be dead. There a necromancer joining. Foradain Character is a soldier brought back by Devine power. Myself I have two characters joining one a ghost the other a Draugr. I will accept someone that died and came back to life (near death experience), and reincarnation. All I ask is for a character to be touched by death in some shape or form. If not then why make a specialized group in the first place? That’s fair, I can understand that. I’m curious, does a vampire count? 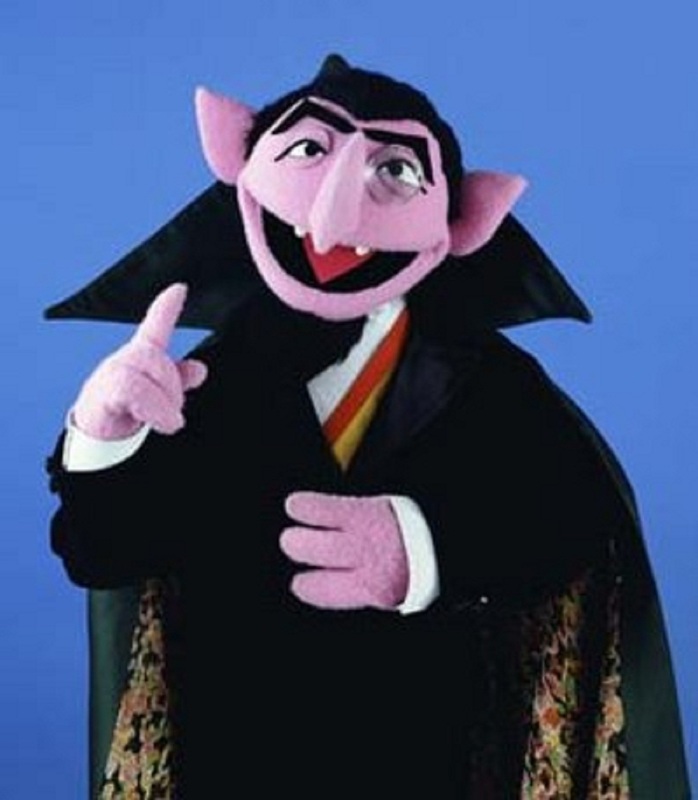 Vampires count. Even those sparkly ones from twilight. As much as I wish not. Lol. I’m cast as roadkill....dead bunnies do have revenge issues. Hi..